Wishing you all a very Happy Onam!!! Hope you all enjoyed a wonderful Sadhya with family and friends. We had a yummy Sadhya at a friend’s house. 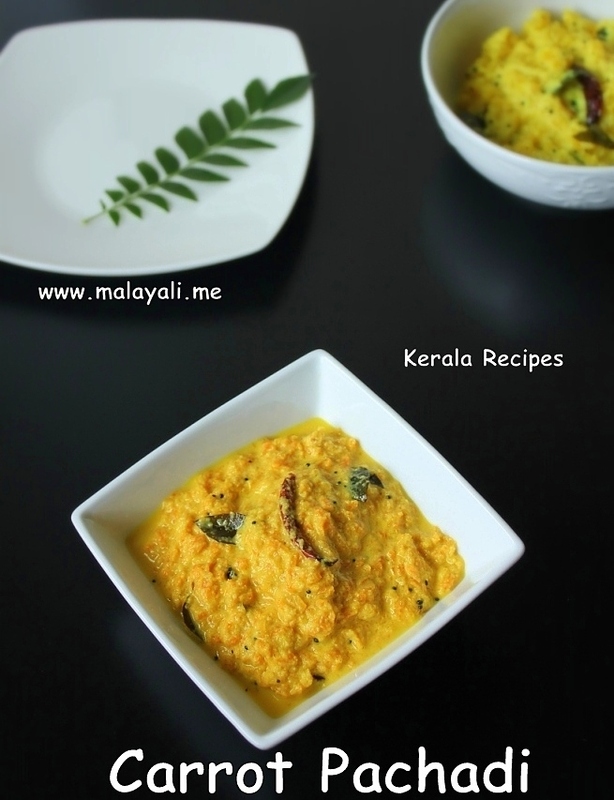 Here is an Onam Sadhya special side dish – Carrot Pachadi/Kichadi. 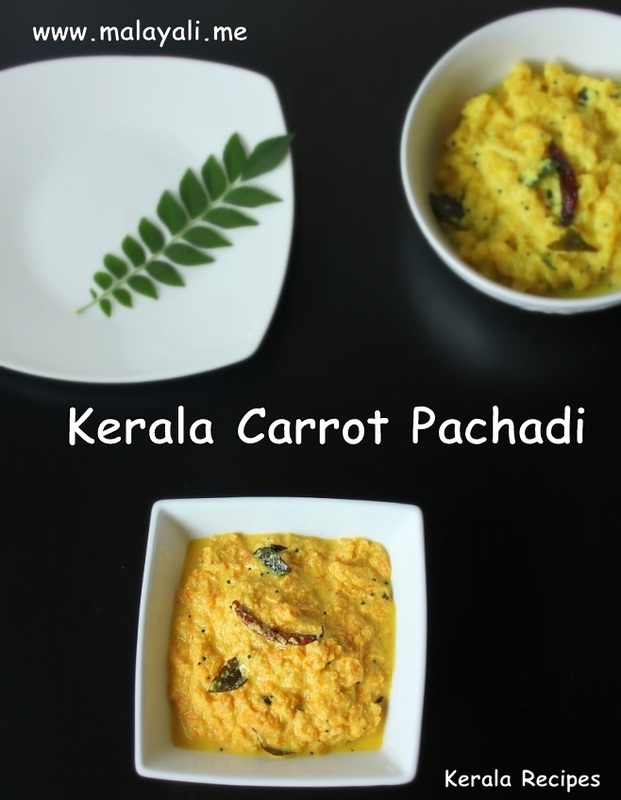 I usually make Pachadi for Onam with Pineapple but this time I thought I would make a Pachadi with Carrot since I didn’t have Beetroot. I add ground mustard seeds while making Pachadi but yesterday while speaking to a friend, she told me that they don’t add ground mustard seeds to some Pachadis such as Beetroot whereas for Pavakka (Bitter Gourd) and Vellarikka (Melon Cucumber) Pachadis, ground mustard is always added. 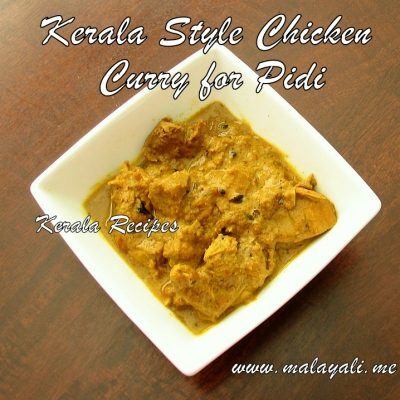 To add to the confusion, Pachadi is often known as Kichadi in southern Kerala. The terminology has always been confusing to me, but I guess Pachadi and Kichadi are more or less the same with a few subtle differences. I read somewhere that ground mustards are not added to Kichadis. I prepared this dish without ground mustards so I think I will call it Carrot Kichadi. 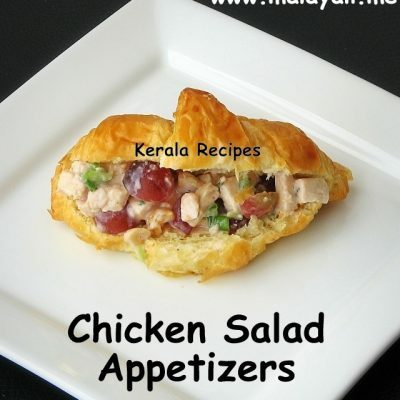 This is a very mild side dish and is perfect for Onam. Peel the carrots and shred it using a hand grater or food processor. Cook the carrots with little water, slit green chillies and salt to taste for around 5-7 minutes. Grind coconut along with the green chillies from the carrot and the other ingredients (turmeric and ginger) to form a nice paste and keep aside. Blend the curd with little salt until smooth and keep aside. Once the carrots are cooked, add the ground coconut paste to the pan. Continue cooking on medium heat for another 5-8 minutes so that it becomes thick. Reduce heat and add the curd to the pan. Mix everything and remove from heat. Add sugar if you like it sweet. Heat oil in a pan. Splutter mustard seeds, saute dry red chillies and curry leaves for a few minutes. Pour the seasoning over the Carrot Pachadi. Mix gently. 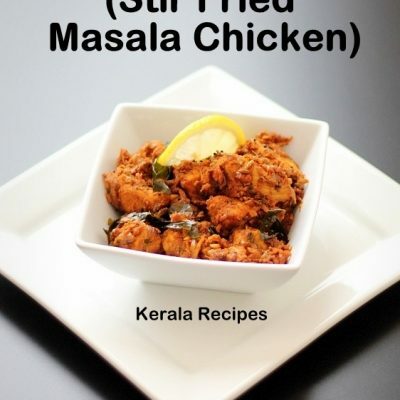 Sour Curd is usually preferred while making Pachadi and Kichadi. 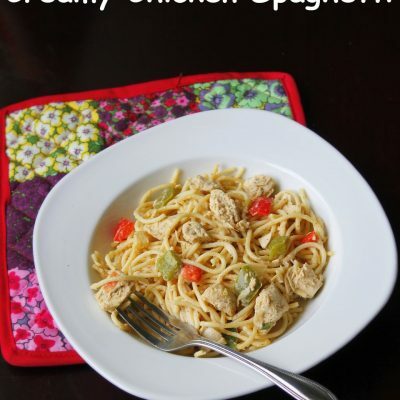 However, you can also use Yogurt if you don’t have curd. If you want to make this Pachadi a bit sweet, you can add 1-2 teaspoons of sugar or powdered jaggery. 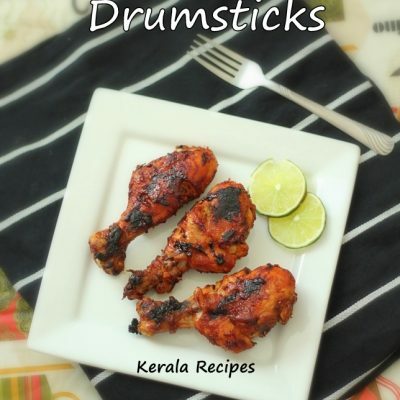 Whats the difference between pachadi and moru curry?